We had a fun Smart Cookies End of the Year Party for my 2nd grader's class! It was so cute and they had a blast! 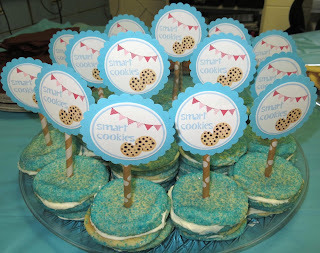 I made a "Smart Cookies" banner with brown and white stripe triangles and blue letters in "andrea karime" font. We had chocolate and white milk in milk bottles that I found at Target. 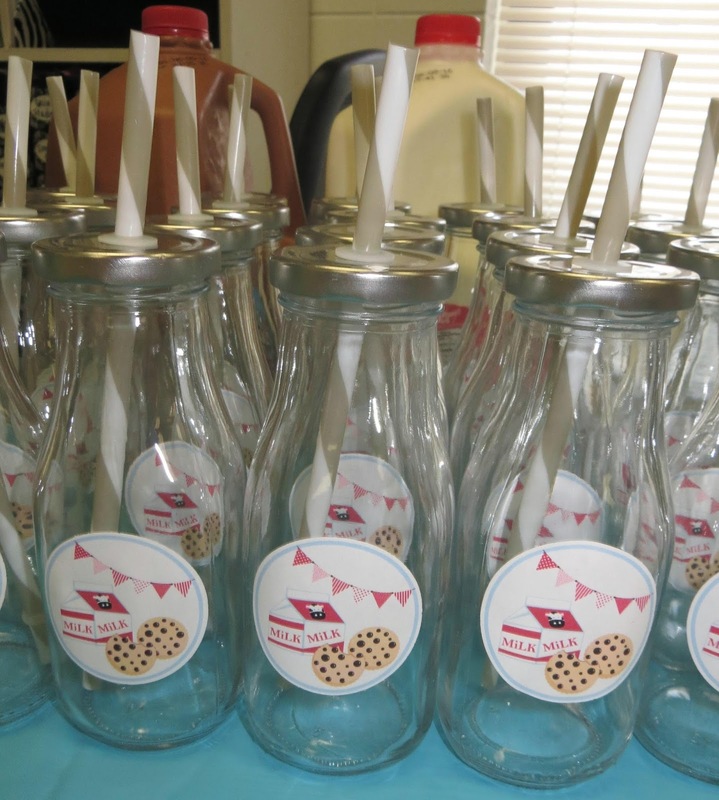 I designed labels for the milk bottles, printed them on sticker paper, cut them out with a 2" punch, and put them on the bottles. You can download the labels HERE. We had chocolate chip cookies, oatmeal raisin cookies, sugar cookies, snickerdoodles, oreos, double doozie cookies, and more! I made the double doozie cookies by dipping sugar cookies in blue sugar before cooking. Then, I spread icing between 2 cooled sugar cookies. 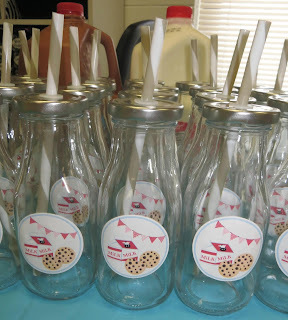 I made tags for the tops of these cookies and attached them to halved decorative paper straws. You can download the tags HERE. We let them get 5 cookies to start and then packed up leftover cookies in bags for the kids to take home. And, of course, I made labels for the bags too! You can download the labels HERE. 1) Pin the chocolate chip on the cookie - for this game, I traced a large cookie shape onto light brown poster board, cut it out, drew an "X" in the middle of the cookie, & had it laminated. I attached it to a large piece of foam board. 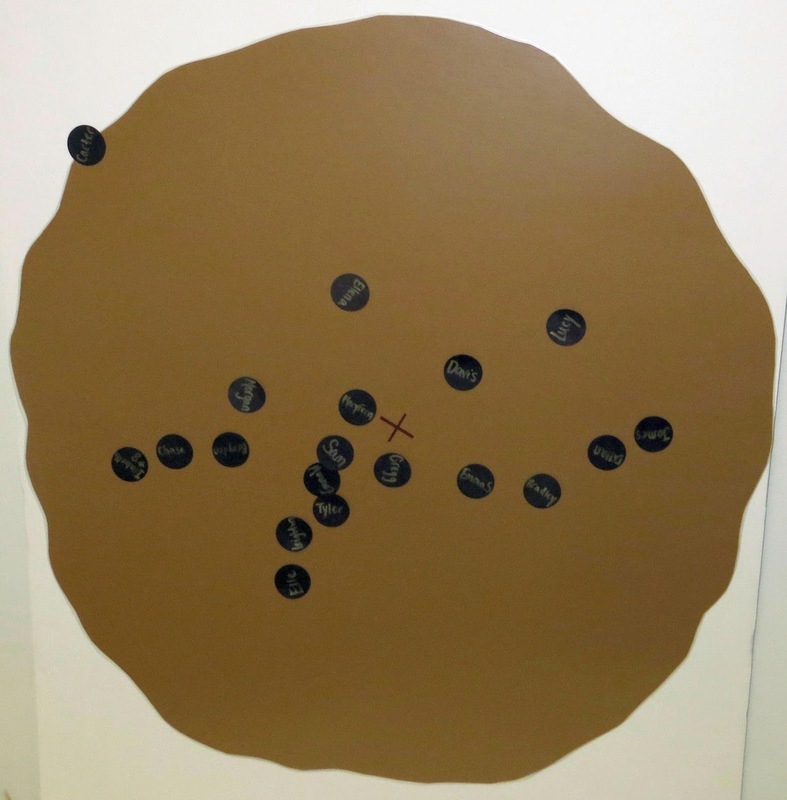 Then, I used my 1/2" circle punch to cut out dark brown cardstock circles to use as the chips. I wrote each child's name on the chips so we could see who had come the closest at the end of the game! 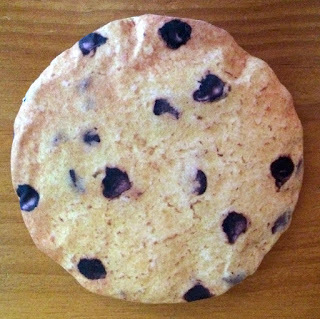 I also attached a photo square to the back to make the chips stick to the cookie. I blindfolded the kids, spun them around, and then had them stick their chip to the cookie. Whoever came closest to the "X" won! 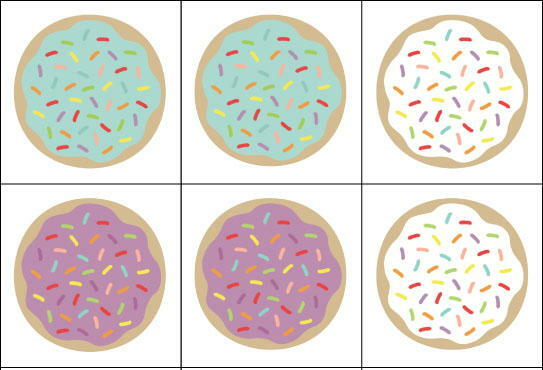 2) Cookie match game - for this game, I cut out the different color sugar cookies and laminated them. Then, the kids teamed up to see who could win at Memory! You can download the game HERE. 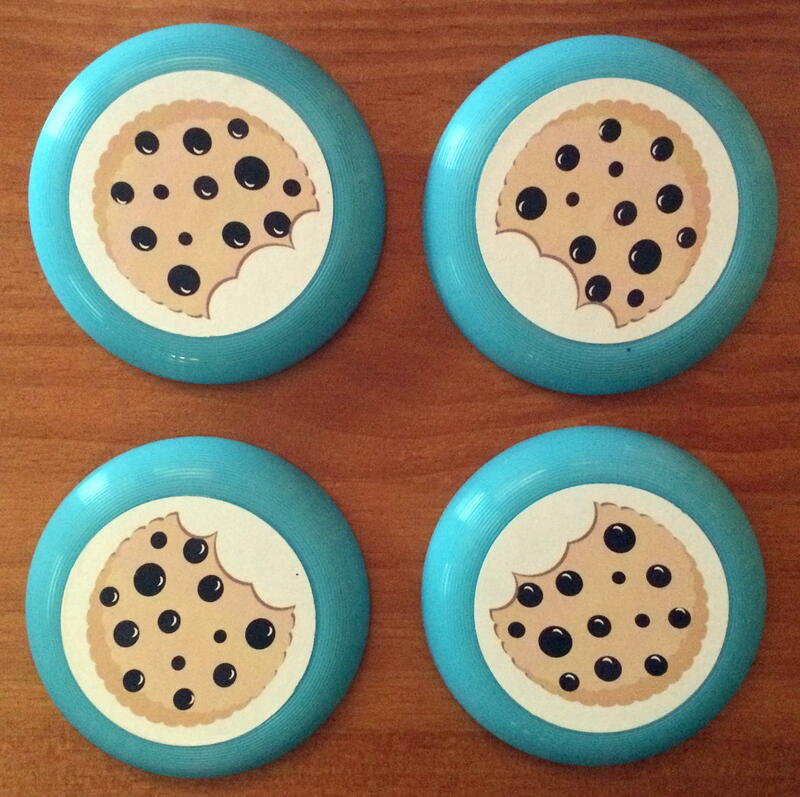 3) Cookie frisbee - for this game, I got 4 small frisbees at Party City. I printed 4 cookies on sticker paper, cut them out with a 2.5" punch, and attached them to the frisbee. Then, the kids took turns trying to land their cookie frisbees on a small cookie sheet! 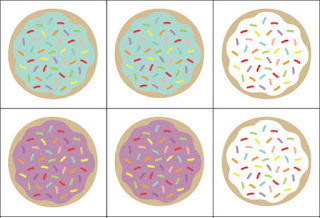 You can download the cookie printable HERE. 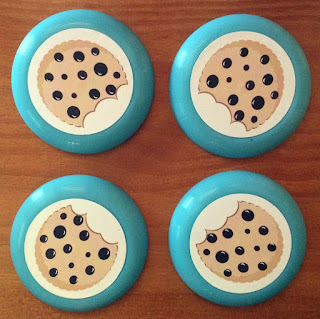 4) Cookie hot potato - for this game, I purchased a stuffed cookie from Amazon. (It's actually a pouch. See HERE). The kids passed it around until a parent said "stop!". The child holding the cookie was "out". Repeat until there is only 1 child left standing! 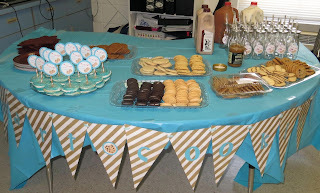 The kids loved eating all of the cookies and playing all of the games!